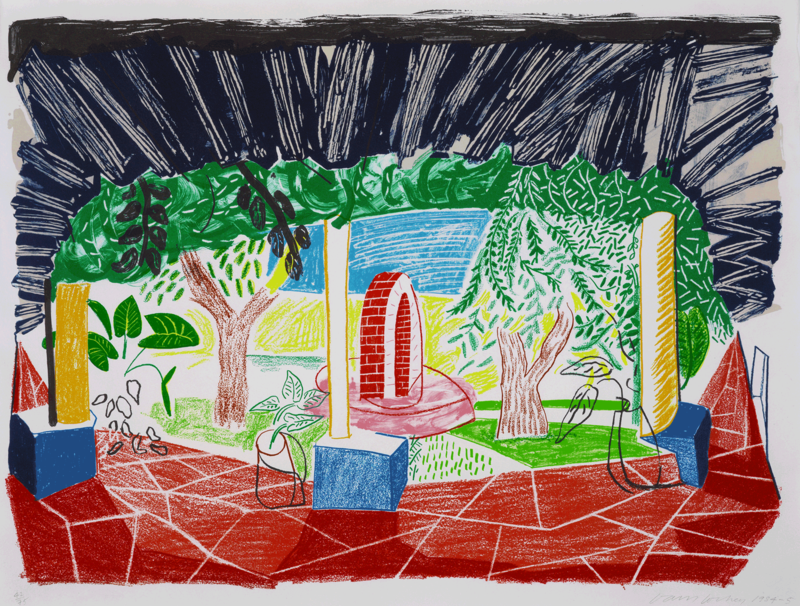 While staying in Acatlan, in Mexico, Hockney produced a number of works which dealt with issues such as space and perspective. Fascinated by the idea that a certain piece of art could be perceived in different ways when experienced from different angles. Unlike other works within the ‘Acatlan’ series, ‘Views of Hotel Well I’ is on a single piece of paper: by choosing this format, Hockney condenses the whole panorama surrounding a well, thus presenting a 180 degree view which unravels within the confined space of the paper. 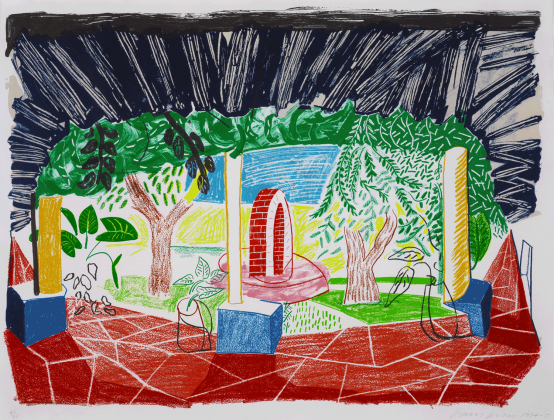 Works from the Hotel Acatlan series have been included in collections such as the Tate, as their role within Hockney’s catalogue is of primary relevance.